Each BESTNEST vacation rental is inspected and certified as attaining our high standards for outfitting, equipping, and cleanliness. 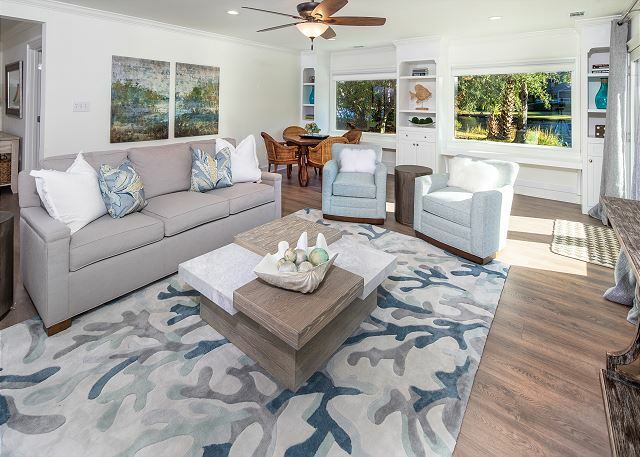 No matter the location, size, or price of your chosen Hilton Head vacation rental, you will always know exactly what awaits you. 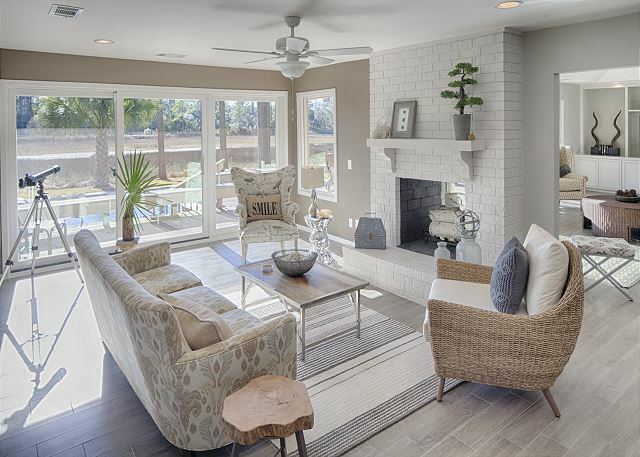 3 BR/2 FBA, all new kitchen, open living and dining + Carolina Room, complimentary Netflix on 5 Smart TVs, and full time gas to range, grill, and water heater. Private deck with space for dining and lounging, plus garage. This lovely home features 3 BR/3 FBA, open kitchen with gas range and double ovens, spacious living room and dining, separate den, upgraded electronics with complimentary Netflix, Polk and JBL Bluetooth sound, full time gas to grill and fireplace. 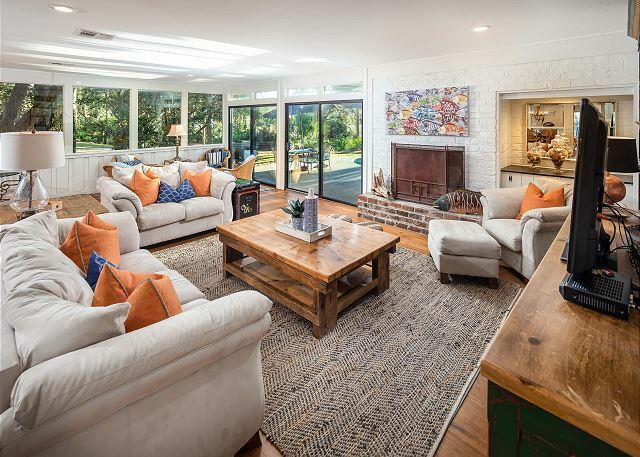 Classic beach chic abounds in this 3 BR/3 BA, one-level home just 3 rows from the ocean! 4 LED TV's with complimentary Netflix, Bose Bluetooth sound, screened porch and gas grill. 5 minute walk to the beach.......Enjoy! 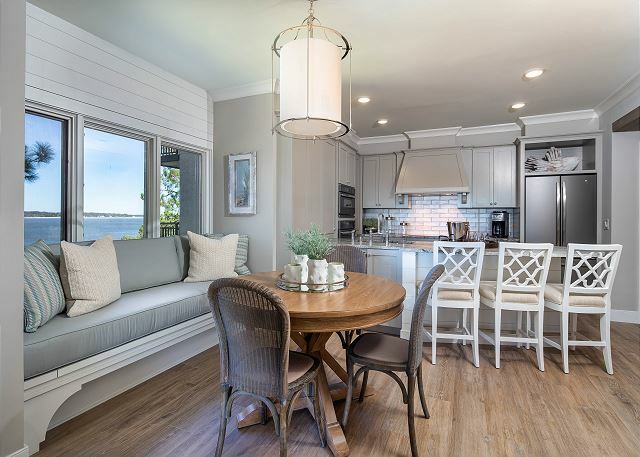 Beach casual meets coastal chic in this 5 BR/3 FBA home with open kitchen/living/dining, separate den, upgraded electronics, complimentary Netflix, screened porch, fenced yard and private heatable pool. Also-- ample parking! 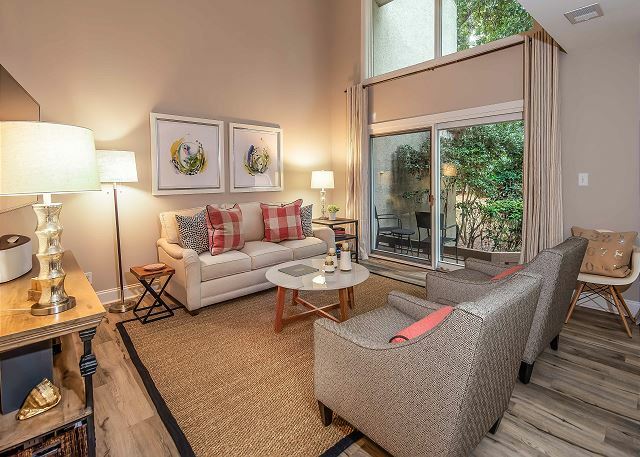 Enjoy uber comfort and stylish surroundings in this 3 BR/3 BA fully renovated home. 4 total televisions (with complimentary Netflix), Polk Bluetooth sound, and all wood flooring- no carpet. Lagoon view, private, heatable pool, grill, and large patio. 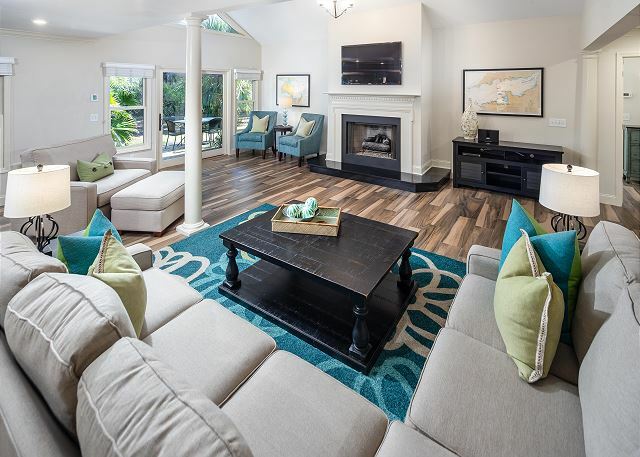 Enjoy clean lines and complete comfort in this completely renovated 3 BR/3.5BA home with spectacular furnishings, 4 Smart TV's with complimentary Netflix and a bright open, fully-equipped kitchen, plus expansive deck and large, private pool. Big family? No problem! 5 BR/ 5.5BA, fully equipped kitchen with 2 refrigerators, 2 ovens, separate ice maker, spacious living room and dining, separate den, upgraded electronics, complimentary Netflix, Bose Bluetooth sound, gas grill and heatable pool. NEW! 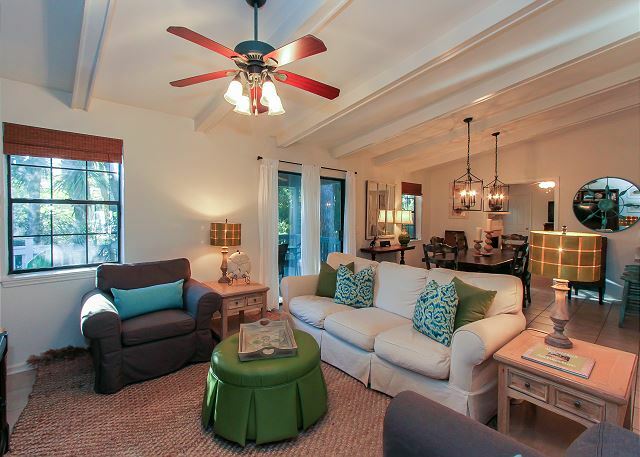 4 BR/3 BA in a gorgeous, near-ocean setting-- fully and completely renovated and furnished. 5 LED TV w/Netflix, heatable pool, gas grill, and garage. All on one level very near South Beach Marina Village. NEW! 4 BR/4 BA fully and completely renovated and furnished. 5 LED TVs w/Netflix, heatable pool, gas grill, private dock and garage. 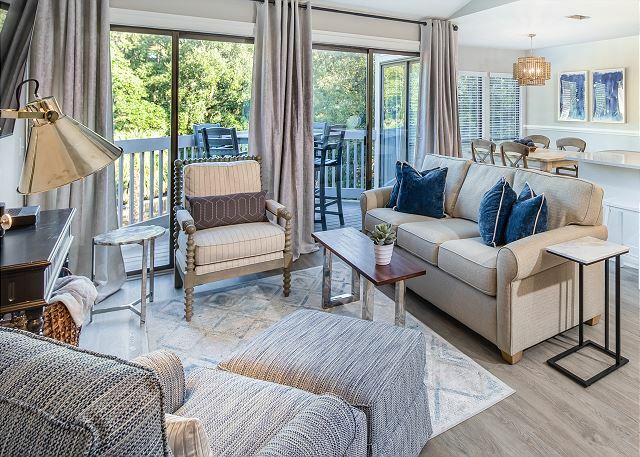 Super stylish, one level living on Baynard Cove, just 10 minutes walk to the ocean. Walk to beach in less than 5 minutes! 4 BR (2 masters)/4 FBA, extra large living areas, 5 Smart TV's with complimentary Netflix, Bose Bluetooth sound, and full time gas to grill and fireplace, plus zero-entry heatable pool with spa and garage. NEW! Bring the family! Beach chic, 4 BR/4 BA directly on beachwal, 4th Row, with heatable pool, loads of room for everyone with 2 living areas, all Smart TVs/Netflix, Weber gas grill and big garage. Easy walk of bike to the Salty Dog. Completely transformed and truly stunning. This villa sleeps 4-6 comfortably and includes all new everything. Enjoy sweeping ocean and sunset views, open kitchen, upgraded electronics, complimentary Netflix and oceanfront pool. New! 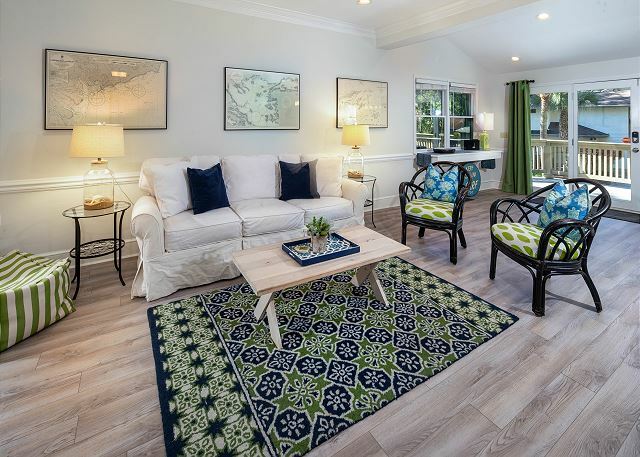 Coastal casual meets chic sophistication in this newly and completely renovated 2 BR/2BA villa with open kitchen/living/dining, new electronics, complimentary Netflix, and pool-view deck. NEW in 2018. 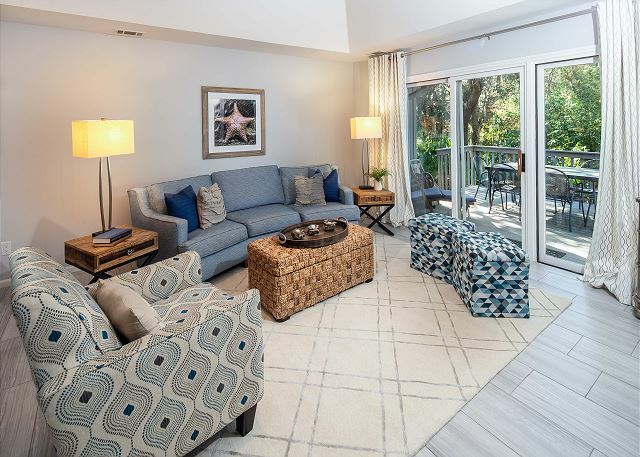 Enjoy this 3rd floor villa (w/ elevator) featuring 2 BR/ 2 BA, super stylish interior, golf view, open plan, easy access pool & 5 min walk to Beach Club. 3 Smart TV's Netflix, Bose Bluetooth sound for sitting and sipping on the balcony. Enjoy this townhouse-style villa featuring 2 BR (2 kings)/2.5 BA, and super stylish and newly renovated interior. Easy access pool & 5 min walk to Harbour Town. 3 Smart TV's with complimentary Netflix and Polk Bluetooth sound.